What do you do when there's a foot of snow on the ground in New England? You look at summer clothing all day. 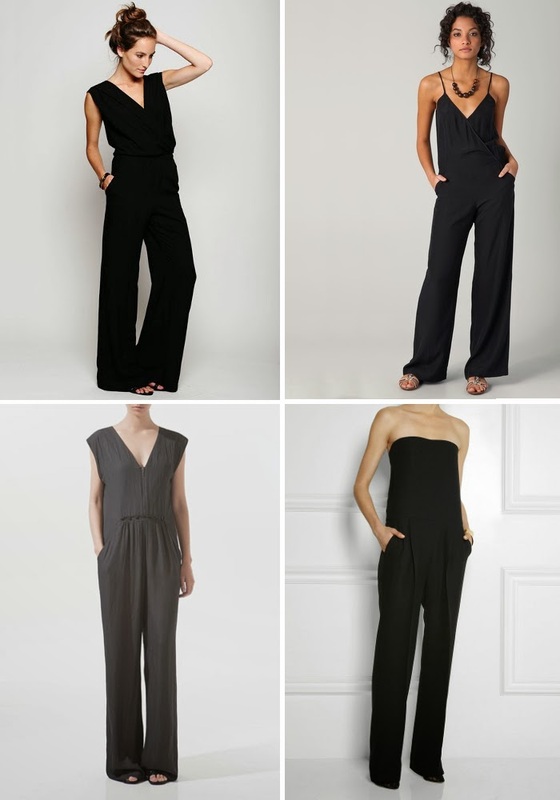 These black jumpsuits have simple, clean lines providing a great blank canvas for that perfect necklace or pair of sandals. You might even be able to get away with pairing these with a top and booties for colder months. Find some colorful/print jumpsuit options here, here, here and this very slinky black jumpsuit here.